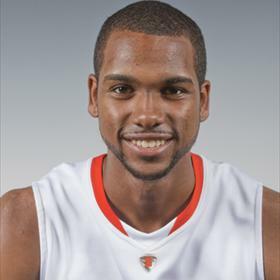 James Southerland was a forward on the Syracuse basketball team for four seasons. Southerland was a tall athletic forward with nice perimeter shooting touch. He was a great spot shooter, but struggled with putting the ball on the floor to make his own shot. Southerland would see limited playing time his freshman year, appearing only thirteen games, and always when the game had been decided. Southerland would be part of the regular rotation his sophomore year, yet his play was very inconsistent. He was considered by many to be the best shooter on the team, but he had a very rough time early in the year making any perimeter shots. He would have a breakout performance against Morgan State with 18 points, and follow it up a few games later against Notre Dame with 12 points on 5 of 7 shooting. Unfortunately his performance would drop off again, and he would not play four of the last fourteen games, and would not score in another five of them. Southerland's ability to play Syracuse's zone defense improved his junior season, which allowed Jim Boeheim to leave him in the game more often, even when his shot was struggling. He was inconsistent in his shooting early in the year, but has some big games and led the team in scoring a few times, and there were times when his defensive play helped to spark a victory. He would hit a slump during the Big East season, but his game turned around towards the end. He played very well in Syracuse's first round game against UNC Asheville, leading the team in scoring; he was likely the difference between the Orange winning and being upset in that game. His scoring dropped in the next two NCAA games, but that was more a function of how well C.J. Fair was playing than a poor performance on his own part. Southerland became Syracuse's primary perimeter shooting threat his senior season, connecting on nearly 40% of this three point attempts. Boeheim loved to use Southerland off the bench, to help change the pace of the game. He would have a career high 35 points against Arkansas in the Big East / SEC Challenge game. Southerland would make 9 of 13 three point shots in the game. Southerland would miss six games in the second semesters when questions about his academic eligibility arose. The issues would be resolved, and he was eligible to play again starting with the St. John's game. Southerland had developed into one the team's stronger rebounders, and he displayed an excellent understanding of playing the baseline in Syracuse's zone defense. Boeheim could no longer afford to have him come off the bench after the Orange lost three straight games. Southerland would have his first start of the season against DePaul, and would finish the year as a starter. Southerland would be integral in leading Syracuse to a resurgence in the Big East Tournament. He would set a Big East record making 19 three point shots in the tournament, including a perfect six for six against Pitt in the second round. In the NCAA tournament he would struggle to score against Indiana and Michigan. It was not because of poor shooting, but rather because opposing defenses recognized his significance and guarded him tightly enough to limit his shot opportunities. However, he was able to get open against Marquette, and led the Orange with 16 points, as they advanced to the Final Four. Southerland was undrafted in the NBA draft, but he would make the Charlotte Bobcats as a free agent rookie. He would play just one game for Charlotte before being waived by the team. The New Orleans Pelicans picked him up late in the season, and he would play three games with them to close out his rookie year.